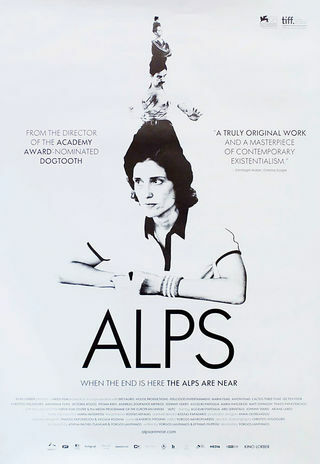 I went into watching Alps (2011), also known in its native Greek as Άλπεις or Alpeis, with a deep appreciation for the films of director Yorgos Lanthimos. I was fascinated by Dogtooth (2009), I fell in love with The Lobster (2015), and I was completely entranced by The Killing of a Sacred Deer (2017). I felt like after watching these three, I had a pretty solid understanding of what Lanthimos is about – hence why it would be so intriguing to explore some of his other films through the Blindspot challenge. Alps is a funny one. It retains the foundation of Lanthimos’ flawless creative instincts – most notably, his deliberately pared back performances and dialogue (written alongside long-time collaborator Efthymis Filippou), delivered in a flat, deadpan manner. At this point I’m not sure if it’s a Yorgos Lanthimos thing or if it’s just a culturally Greek thing, which I would like to find out one day. The performances of the therapists within the Alps group are pretty good, with lead females Angeliki Papoulia (as ‘Nurse’) and Ariane Labed (as ‘Gymnast’) being particularly notable. The film is shot absolutely beautifully, and cinematographer Christos Voudouris’ use of the landscape and interiors of the film is masterful. However, perhaps my slight reservations towards this film rest in the idea of Alps being a film about grief and professionals who support people through it in their own unconventional ways, which is communicated in Lanthimos’ classic deadpan style. The theme of grief seemed a bit of a mismatch with the manner of its delivery, and again, perhaps I need to take Greek culture into consideration when wondering about this. But the impact of these stories about grief being communicated flatly, as if the characters care minimally about those who are gone, almost means that we as viewers don’t care that much either. Some parts are bleakly hilarious, but almost because of the flat delivery of the script, we can’t buy in to how weird the concept is because it’s like those involved with it don’t respond to it either. I don’t know, it was a weird place to be in. In summary, Alps isn’t Yorgos Lanthimos’ best work, but it’s still a good film. Lanthimos’ work has been critiqued at the best of times as being flat and sterile – this almost being his creative calling card. Sometimes it works, and sometimes it doesn’t. My belief is that this style works much better with his other films, perhaps as a result of their possessing different and more dynamic themes and stories. Still, Alps is worthy of a watch.